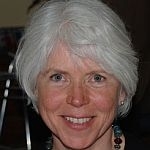 (HOST) This week, VPR is again observing Women’s History Month with a series of stories about remarkable Vermont women. Commentator Ann Lawless of the American Precision Museum in Windsor has been getting ready for Vermont’s Civil War Commemoration this year. With help from historian Carrie Brown, she’s been collecting stories about what Vermont women were doing both at the battle lines and on the home front. (LAWLESS) When we think about the Civil War, we often think of the men on the battlefield, but you just need to look a little deeper to see that Vermont women also had a strong influence on this fight against slavery. Fanny Titus-Hazen of Vershire was only 20 when the war began. She wrote: "At the outbreak of the Rebellion, in 1861, when the whole country was alive with patriotism, it seemed the greatest misfortune of my life that I was born a girl. 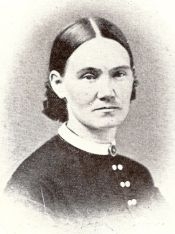 One of her brothers had already been killed, and two others still served with the Vermont Brigade, but she was determined to serve as a nurse. She traveled to Washington and was given charge of a ward that treated wounded soldiers. 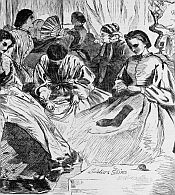 In the book, Our Army Nurses, writer Mary B. Holland quotes her as saying: "My experience through that dreadful summer of 1864 cannot find expression in words. …our heads, hands, and hearts were taxed to the utmost; so much to do, so many claiming our sympathy, so many to tell that soon they must answer the last bugle call, and cross to the beautiful shore. Then it was I realized how utterly insignificant were all my greatest efforts. I seemed like an atom, or drop of water; ten pair of hands could not do what one pair would willingly have done." 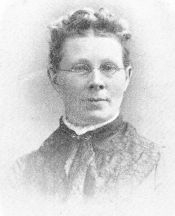 Amanda Colburn Farnham of Glover enrolled as a member of the 3rd Vermont Regiment and was appointed hospital matron. A few months later, she was dropped from the official rolls because the government did not recognize the position. But she continued to serve, moving with the army, living in tents, and caring for the sick, the wounded and the dying. In E. F. Conklin’s book, Women at Gettysburg 1863, it’s recorded that she wrote:"On the last day, the 6th Corps march[ed] from Manchester, Md. to Gettysburg…I gave up my wagon entirely to such disabled soldiers as could not keep up with the command or find room to ride in overcrowded ambulances, walking the whole distance myself. …On our arrival at Gettysburg at sunset of July 2nd 1863 I went to work with the wounded of the 3rd Corps for the entire night without sleep or rest." Alice Watts of Peacham was a farm girl while two of her brothers served in the Army of the Potomac. In 1862 when she was only seventeen years old and both her mother and grandmother had died, Alice took charge of the household. She also spent two hours each day knitting socks and mittens and met with other women once a week to sew for the soldiers. According to Lynn A. Bonfield and Mary C. Morrison in Roxanna’s Children: The Biography of a Nineteenth-Century Vermont Family, her brother Isaac wrote to another sister in California: "It is hard for the girls and makes rather a lonesome home for them, but as you said ‘nearly all New England homes are lonesome now.’"
These are only a few examples of the way the Civil War began to break down gender stereotypes and opened paths for women to develop and use their talents. VPR thanks the American Precision Museum for providing the images.